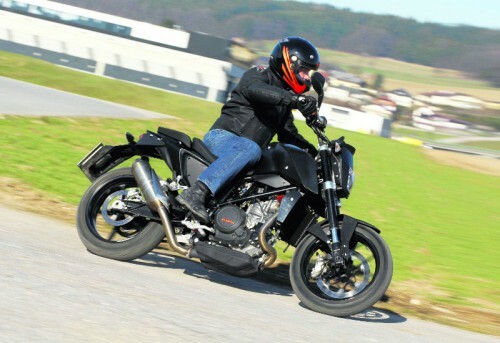 The good news KTM is updating its 690 Duke naked standard for 2012. 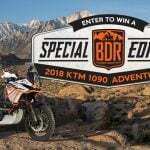 The bad news is KTM has pulled the Duke lineup from its North American offerings. 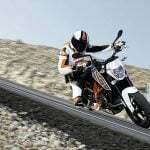 Britain’s MCN was given a test ride on a prototype of the 2012 KTM 690 Duke and revealed some of the updates. 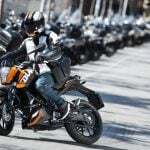 The Duke’s single-cylinder engine, which KTM has been boasting as the world’s most powerful Single used in production models, will reportedly be even more powerful, with a claimed output close to 70hp from the previous model’s 64 hp claims. KTM will also use a new manufacturing process for the structural fairing and subframe, using a high-pressure diecast aluminum alloy to reduce weight. 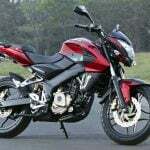 Other features include optional Borsch ABS, ride-by-wire throttle, a side-mounted exhaust instead of the 2011 model’s underslung exhaust, and a flatter front face. 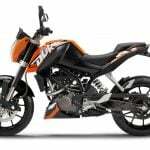 Unfortunately, American consumers will have to make due with the existing versions as KTM has removed the Duke and Super Duke from its U.S. offerings, at least for 2012. 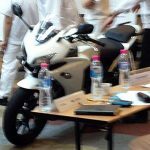 2013 might bring better news however as a leaked Powerpoint from KTM’s dealer meeting listed a new Super Duke R 1290 and a Duke 350 for North America.